Only building a beautiful and modern structure with lavish facilities should not be the only concern for architects or building owners. There are few other important factors which one should keep in mind. The major ones are the fire factor, ductwork cleaning, extraction cleaning and saving your property from asbestos contamination. In fact, you must know that asbestos contamination is a pivotal reason which creates various other decomposition issues inside a building. Slowly though, the building materials contaminated with asbestos would lead to severe damage and demolition of the building. Your first and foremost duty should be to protect and preserve the property through the removal of asbestos contamination. Asbestos is a type of mineral fibre which has the ability to resist heat, fire, and electricity. But you must know, through research it has been detected that there are three types of lung diseases which can be linked to asbestos exposure. 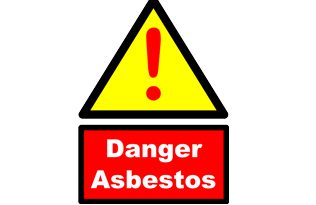 Asbestos contamination is very harmful not only to your building but also to your health too. Asbestosis is an acute and progressive lung disease caused due to asbestos contamination that is through asbestos fibres. Asbestos contamination may also cause deadly cancer named mesothelioma. So, now you know how rapid and active you have to be to hire professional experts for the immediate removal of asbestos contamination from your property. Such a step would not only help you but others who are living near your building. Where to Find Asbestos Contamination? You must have noticed that for many years, asbestos has been in use in a number of commercial and industrial activities. In recent times, the use of asbestos has been diminished due to its harmful effects. Remember, buildings that have been constructed before 1990 have been found with ample asbestos fibre contamination. You will see asbestos contamination more in old schools, homes and public buildings. You will find it in floor tiles, flat fibre cement sheeting used on walls and ceilings in corrugated roofing. Other places in buildings where asbestos contaminated fibres can be used are components of lift motors, boilers, gate valves, rope seals and gaskets, and at times in generators too. Now you must have understood that only extraction cleaning or ductwork cleaning would not be enough. You have to clean the main dirt and that is asbestos contaminated fibres, which must have been in use in many of your domestic and workplace areas. There are a good number of certified companies which helps in sanitising domestic and commercial buildings. These companies do possess quality experts who conduct the job of kitchen sanitisation, extraction cleaning, and ductwork cleaning and also are fully specialised in the removal of asbestos contamination. One such technically modern and highly expertise company is THE BEST TECH SERVICES LIMITED, who are always ready to cater to their clients with the best of services.